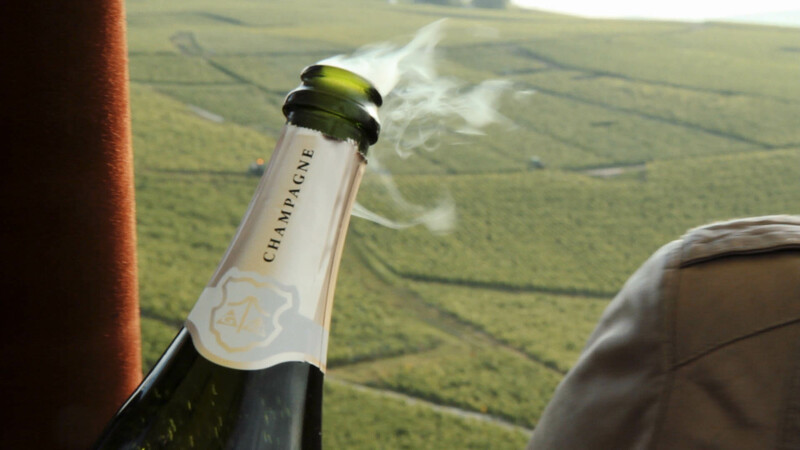 A Year in Champagne documents the sparkling wine industry over the course of one season. The film delves into the history of the Champagne region, the harvesting of the grapes, as well as the intricacies involved in the production process. The documentary provides viewers with an insider’s look at the inner workings of this highly specialized industry including the craftsmanship, artistry, and skill involved in creating the perfect bottle of bubbly. A Year in Champagne was written and directed by David Kennard and is the second film in a series that began with A Year in Burgundy and will be rounded out by A Year in Port. A Year in Champagne puts France’s Champagne region in context in terms of its geographical and historical importance. The film reveals that aside from being a rich agricultural area the region also has a long and storied history which includes having served as a battleground during several wars and military conflicts. corporate owned champagne companies. A Year in Champagne stresses the importance of tradition and uniformity regarding the process of making quality champagne. Local grape growers must adhere to a strict set of rules governing everything from the height of the plants to the way the vines are cut to the time period allotted to harvest the grapes. One of the most interesting aspects of the documentary is how it demonstrates the importance of marketing and branding. One of the wine makers in the film remarks that, “champagne is more than just wine, it’s magic!” Indeed the beverage has long been associated with celebrations and other jovial occasions and this connection didn’t come about by accident. From early on representatives of the champagne industry worked hard to create an emotional connection between their product and consumers. Because of this, champagne was elevated from being just another every day type of wine to that of a status symbol. A Year in Champagne provides a rare glimpse at the actual wine making process including the pressing of the grapes and the bottling production line. Viewers also learn about the vast array of wine cellars located beneath the Champagne region where it’s estimated that a staggering one billion bottles of sparkling wine are currently being stored. Champagne has become synonymous with wealth and privilege. Because of this A Year in Champagne could be construed as being rather pretentious. This is especially evident by the filmmaker’s decision to use classical music on the soundtrack. Although there’s no denying that the wine makers are hardworking people, the film depicts a locale seemingly absent of problems such as poverty and homelessness. The only instance in which there’s a sense of the discrepancy between social and economic classes occurs during the harvest when migrant grape pickers are brought in from Turkey, Algeria, and Africa to work in the fields. Unfortunately A Year in Champagne will only appeal to a small niche audience. The documentary features all the clichés so often associated with champagne and for non wine drinkers it doesn’t offer any new insights about the pricey product. A Year in Champagne does, however, succeed in shedding light on the lives of seasoned champagne makers for whom champagne isn’t just an alcoholic beverage but a way of life. A Year in Champagne is available on iTunes.